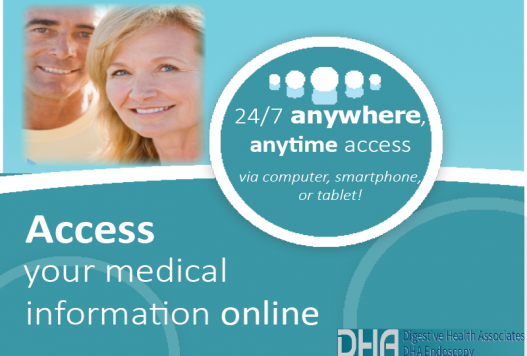 Click HERE for an introduction to the DHA Endoscopy center. The list below of commonly asked questions is continuously under revision. If your question is not addressed here and you think it should be, let us know. Give us a call or use the convenient Contact Us page to get in touch. What insurance carriers does DHA accept? There are thousands of medical insurance companies that could potentially serve our patients and DHA works with the vast majority of them. What do I do if I am on Coumadin? Most people stop Coumadin for five days before their procedure. For colonoscopy: If polyps are removed you have to stay off of coumadin for another 5 days. You must check with your primary care or the prescriber of the Coumadin to be sure this is OK. If not then call our office and we will discuss other options. For Gastroscopy: Most can resume their coumadin the next day. Do I need to take antibiotics if I have a murmur? The risk of infection is much lower than with dental procedures. Unless you have had endocarditis (a heart valve infection) in the past, we do not give antibiotics before the procedure. There are exceptions so if you are concerned to let us know when you show up for your exam. Remember, there are also risks associated with taking antibiotics. Do I need to take antibiotics if I have had a joint replaced? The current GI Society guidelines do not recommend taking antibiotics for patients with a history of joint replacement. Please let us know if you have had a joint replacement within the past 6 months. When do I have to stop eating before my exam? In order to use sedation medications safely, you cannot eat any solids for 6 hours or drink clear liquids for 3 hours before the sedation starts. If your exam starts in the early morning we suggest not having anything when you get up in the morning. When do I have to stop my Aspirin? If you take the Aspirin because you have had a heart attack, a cardiac stent or stroke, then Do NOT stop it prior to the procedure. If you are taking aspirin only as a precaution, then you should stop it for the SEVEN days prior to the procedure. You may be asked to hold your aspirin for a week after the procedure because with some tests it can increase the risk of bleeding. What days do the Doctors see office consultations and follow-ups? We try hard to accommodate patients’ schedules. We keep the waiting time in the office to a minimum. What days do the Doctors perform procedures? As a group, we do procedures 5 days a week. We can accommodate any scheduling request. Individual MD schedules change each week and the office secretaries can answer your questions about availability. Do I have to drink the WHOLE colonoscopy preparation? This is the toughest part of a colonoscopy, but also the most important thing you need to do. A good prep means a good exam and an excellent prep means an excellent exam. We have many different preps available and your doctor has prescribed what they believe will work best for you. If nausea and vomiting become an issue, you should slow down, take a half hour to an hour break, drink something you like that will settle your stomach and try again. What is a low roughage diet, and why is it recommended before a Colonoscopy? Low roughage means to avoid foods that are solid and chunky and can clog the suction channel of the scope and compromise the exam. Nuts, corn, peas, popcorn, lettuce are all things that can enter the colon poorly digested and clog the colonoscope. Why can't I take a taxi cab home after my procedure? We can only discharge you home with a "responsible" person. The assumption is that family and friends will take good care of you when your judgment is clouded. This is not an insult to taxi drivers but we cannot discharge you to someone who may not act in your best interest if there were an unforeseen occurrence. I do not take insulin but I am a diabetic, should I take my medication? If your exam is before noon you can wait until after your exam to take your medication. You will be able to eat shortly after your exam. Clear liquids are okay for up to 3 hours before the test. I have low blood sugar if I don't eat. What should I do? You can drink clear liquids up to 3 hours before the procedure. If you still do not feel right and think your sugar is low you can use hard candy or a sugar packet to increase your blood sugar. How long will the colonoscopy take? From arrival to departure, it takes approximately 1:30 – 2:30. It takes 30 minutes to check you in, complete the pre-procedure assessment and start an IV. The average procedure takes about 30 minutes. You will be in recovery for 30 minutes before you are ready to be discharged home. How long will the endoscopy (gastroscopy) take? From arrival to departure, it takes approximately 1:10 – 1:30. It takes 30 minutes to check you in, complete the pre-procedure assessment and start an IV. The average procedure takes 10 - 15 minutes. You will be in recovery for 30 minutes before you are ready to be discharged home. Do I need a referral from my doctor? Will my insurance company pay for the exam? This varies among insurance companies. Please try to familiarize yourself with your plan benefits. It is always a good idea to get a referral from your doctor. We will try our best to be sure the exam is covered. With co-pays and deductibles getting more significant every year you should always check with your plan to see what the exam means to you financially. Do NOT skip an important exam because the insurance piece can be complex and frustrating! Your health is still the most important aspect of the process. I heard there were "non-invasive" tests that were just as good? The X-rays of the colon are not as useful, biopsies cannot be taken and polyps cannot be removed. The insurance companies will not pay for an X-ray or Virtual colonoscopy (yet). In the future, this may be a real option. Researchers are also working on X-rays that can be done without taking a clean out preparation first. The Video Camera Capsule looks at the small bowel but as of now, it cannot be reliably used to evaluate the colon. Currently, Colonoscopy is still the best and most effective screening tool available. How often will I need to get the colonoscopy done? High-risk patients, those with polyps or a family history of colon cancer need an exam at least every five years and sometimes more frequently. Your gastroenterologist will set a personal screening protocol for you based on your history. Low-risk patients who have a normal exam and do not have polyps can go 10 years between exams (but this is also individualized). There are situations where a colonoscopy is repeated in 3 or 6 months. There are some patients who require a colonoscopy every year. There is no set interval which covers all patients, but most exams are done in 5 or 10-year intervals. Will I see my doctor and be able to ask questions before the procedure? Absolutely. We always greet our patients; review your medical history and the procedure, risks, benefits, and alternatives in person before giving any sedation. If you have medical concerns or issues that you would like to review, we can arrange an office consultation to review them. We have patient education videos in some of the offices which can be watched prior to the procedure. Should I call after hours if I cannot complete the preparation or have questions? Digestive Health Associates is available all the time. You are free to call if you have concerns. It does not bother us and it is our job to make this as easy for you as we can. We would much rather speak with you than have you get frustrated and cancel an exam that could be life-saving! A polyp is a proliferation of colonic mucosa. Inflammatory polyps are benign. Hyperplastic polyps are also benign. Adenomas or adenomatous polyps are the "pre-cancerous" polyps that we remove to decrease the chance of getting colon cancer. Some polyps are more atypical than others and when you discuss your results with your doctor ask what kind of polyps you have and what your follow-up should be.